Your wedding reception will be one of the most special events you ever organise, so if you are looking for a unique way to keep your guests entertained, why not hire a photo booth for the day? 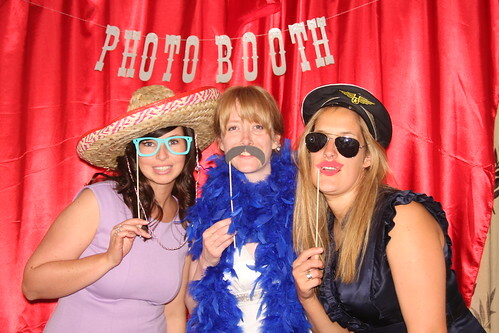 Photo booths are a fantastic way of capturing snapshots of your wedding which you can look back on in years to come. It is the perfect way to help your guests loosen up and get in the mood to party the night away. Companies usually offer photo booth rental on an hourly basis, with many couples choosing to hire one for the duration of their wedding reception, so their guests can go in as many times as they like. Wedding photo booths look far more stylish than your average passport photo booth and even come with a prop box so your guests can do a little dressing up! 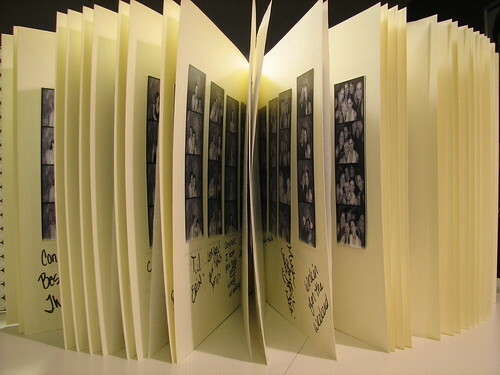 Images will be printed within twenty to thirty seconds of capturing, complete with the names of the bride and groom, and their wedding date along the side of the prints. After your wedding ceremony has finished it is likely that you and your partner will want to spend time having professional wedding photos taken with your bridesmaids, groomsmen and family. Rather than leaving your guests to await your arrival at the wedding reception, have a photo booth set up so they can start having fun the moment they get there! You are more likely to feel relaxed and comfortable knowing your guests are having a blast and will not feel the need to rush your professional photo shoot. One of the many benefits of hiring a photo booth for your wedding is that it will appeal to all age groups, from your four year old niece to your eighty year old grandmother. There are not many times when all of the people you love are in one room, so it is the perfect chance to capture memories which you will treasure forever. Photos captured at wedding photo booths can make the perfect wedding favours. Many brides and grooms like to give their guests something to say thank you for sharing the day with them and what could be more special and personal than photographs? There is no extra effort or expense required as the prints will be included in your rental price. The great thing about wedding photo booths is that they can be customised to fit in with a particular style or theme. Many companies will allow you to choose a backdrop that you like, from scenic views to famous landmarks. You can even choose a selection of props for your guests to use in their photos, including funny hats, crazy wigs and kooky glasses. If you want to create a guest book for your wedding, why not order two sets of prints so your guests can take one set home and put the other in your book a long with their special message. This is a lovely keepsake that will ensure you never forget your special day. Wedding photo booth hire is the perfect way of ensuring your guests have a fabulous time at your wedding reception. They will not be able to resist letting their hair down once they have posed for a picture in a crazy wig or funny outfit with their friends. Not only will it keep your guest entertained, but the pictures it captures will evoke memories and happy emotions when you look back on your special day years from now. By Megan who enjoys writing family & personal articles.